I was told that the product will be delivered 6-10 business days if I choose free shipping but it more than that. Just glad the unit worked when received. The pen is comfortable to hold and use even if you use it for hours like in lectures, it just feels like you are using regular pen. The pen is easy to setup with its base and it captures every notes that I've written down, not had any problems of missing words or unrecognizable words. Transferring of handwritten notes from base to computer is pretty easy with the use of its free software, I did upgrade my software though since the upgraded version offers more options. Never had probem using it and it's been 5 months now, just love using it. My kids love using this electronic pen when they are doodling or drawing just about anything they want. If they need to draw anything for their project, they use this gadget so it would be easier to upload and print if needed. It's not that hard to setup contrary to few reviews I have read. Mine works the minute I completed the setup and same goes with the ones my kids are using. I highly recommend this one for anyone who wants writing to be easier. This gadget is a big help for any proofreader like me. It makes my jobs easier when proofreading articles and books submitted through email or through our site. I don't have to print and scan the articles to proofread and return it to the writer. I can do more jobs without any hassle. It's easy to setup as well and could be use in different ways like in meeting. I'm a proofreader and its much easier to proof read articles that are sent through email. You can doodle like you normally would do if you have printed copy of the article. It makes my job a lot easier and I can use this pen when I attend meetings as well instead of bringing a big laptop. I bought one for my college daughter and she is having fun using it with her research. She says it is much easier to use than her previous one. 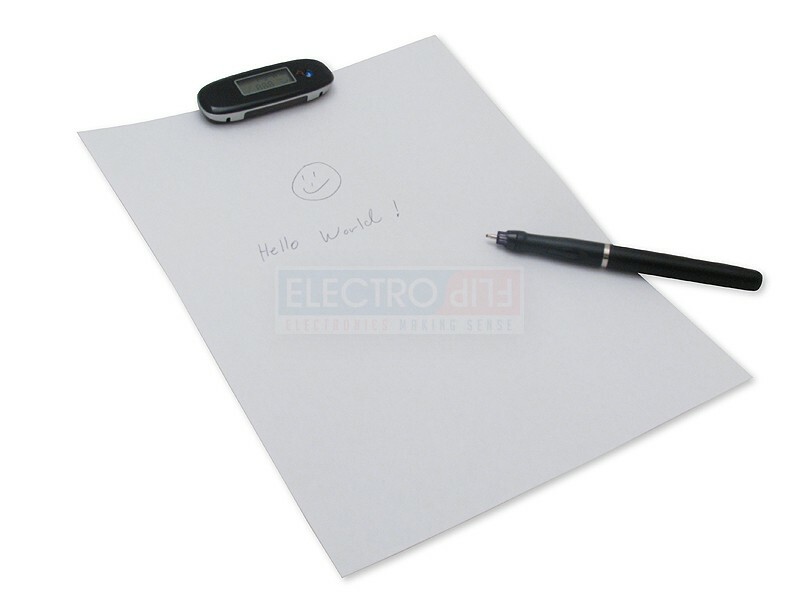 This is a conventional pen that you can use anywhere and it is easy to use. You can just write anything you want normally on a bond paper with the base clamp and it will record whatever you wrote. Once at home or in your office, you can upload it to your computer to convert it to text for easier editing. I have often use this during meetings and when I'm attending symposium. It helps me make reports easier and faster. My kids also love doodling using this pen. Then, we just attached whatever they have drawn so their grandparents can see it, too. This is a great electronic pen. Before I used to attend seminars with my laptop or iPad so I could take down notes - it's pretty inconvenient. I looked for digital pen and saw iNoteBlue. It seems to have a decent review so I order one. It took me sometime to install the ink tip of the pen as I was not reading the instructions properly. Then, I charge the base and install the software - that went smoothly. I tested the iNote and it worked without any problem. Brought it to the seminars and took some notes and when I went home to transfer the files to my laptop, it just transferred without any problem. I have tried using it with Word and it work great. Key is make sure to read the instructions carefully. Easy to use. Can easily proofread and attached my notes…great software. Woks perfectly with my new computer.